Damaged sewer lines are among the commonplace issue faced by homeowners and call for immediate action. If ignored or left unrepaired, the repairs become more and more difficult. When a damaged pipe system finally blows up causing a major havoc, you might be left to think that the only option left is to go for massive excavations. However, for the past 15 years, with the emergence of trenchless sewer repair mechanism, the scenario of pipe repairs and replacements has dramatically changed. Trenchless services are an ultimate solution to new drain installations, clearing clogs, or replacing and repairing of sewer lines. Enhanced Quality: Plumbers use state-of-the-art equipment to repair broken sewer pipes while replacing them with durable pipe system that will not corrode, crack or rust. Cost effective: When compared to the traditional methods, lining sewer pipes save up to 75% to the residential and commercial properties. This method involves less hours and thus reduces the cost of labor needed to complete the task. Eco-friendly: In the long run, the trenchless sewer repair technology will bring in huge savings while protecting the earth’s resources. No-dig technology: No extensive excavation is needed with the innovative process of trenchless pipe rehabilitation. Durable pipes installed: Professional plumbers will install pipes that are lined with epoxy resin. These can last up to 50 years. Thus, this is a non-invasive method of sewer repair and the preferably the wisest investment. Versatility: When using the trenchless sewer repair mechanism, the traditional materials such as concrete, clay, cast iron are not used and so homeowners do not need to worry about any damages in future. The Maxliner System is a kind of trenchless sewer repair technology that relines lateral pipelines without disruptive digging. We, the Dynamerican team are certified Maxliner installers. 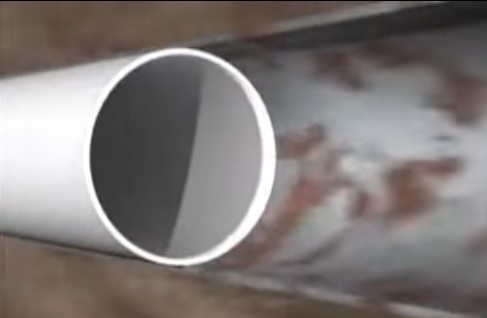 Our Maxliner products allow us to view the pipe defects with the help of a video camera to monitor your system internally as well as externally. for more details. You can also contact our technician at 800-362-8490. http://www.godynamerican.com/contact-us to discuss further. Sewer lines are the last things on your mind, isn’t it? Obviously no one would ever think about them unless they get blocked and a panic situation arises. So, a better idea is to have your sewer lines inspected by a professional plumbing professional service provider to detect any problems early before becoming an expensive repair. A proper inspection of the sewer line usually includes a special camera that inspects through the line and gives the plumber a good idea of the line’s condition and helps locate the clogs. How is the video inspection done? Push cameras are the simplest form of video inspection and are widely used by many of the plumbing professionals. It includes a long cord with a push cam on one end which enters the pipe that needs to be inspected and sends live images to the plumber feeding the cord into the system. The camera is pulled back after the inspection is completed. This method works fine when the user knows which of the pipes has a problem. Sewer problems can develop not only in the mainline pipe, but can affect the branching lines too. The lateral launch systems inspect the pipelines by adjusting and launching a secondary camera for an inner reach. During video inspection with crawlers, a camera tractor with an attached flexible cable at its back runs through the sewer pipelines. The camera enters from an access pipe which then flows down the sewer through a manhole. The technician places the service truck right above the suspected pipe so that he can control the speed and movement of the camera to have a clearer view. Followed by this, the operator sets up the down-hole roller that in turn prevents the cable from causing any further damage to the top of the pipeline by rubbing. Once the set-up is done, the operator proceeds with further investigation by operating the camera tractor remotely from the service tractor. After completion of the process, the camera is removed by reversing the cable and gear. A camera inspection can help detect blockages and corrosion and by having this inspection done before the occurrence of any problem saves you both time and money. A sewer block can erupt at any time and be disastrously embarrassing. One of the best methods of preventing damage to your sewer line is to avoid washing down things like wet wipes, caustic liquids or grease down the drain. In spite of taking these preventive measures, experts suggest home owners to hire professional plumbing services and let them inspect the sewer lines at regular intervals to help detect potential issues. Loads of laundry, watering plants, or just having some fun at your home’s backyard – all of these tend to raise your water bills to unexpected numbers. While a simple solution would be to use less water, it does not always happen. 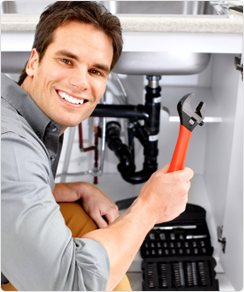 Here is where you need the assistance of professional, high-efficiency plumbing fixtures. The Fixture of using less water than the standard usage while not compromising on performance - is well known to the professional plumbing servicemen. A refreshing shower can last longer than the normal time required, and why not? Everyone loves a nice hot shower. However showering accounts for almost 20% of the indoor water usage of a household. Professional plumbing services have alternative, high efficient showerhead solutions that would cut down the water use in showers to up to 70%. These showerheads use less than 2 gallons per minute which is quite a less amount than the traditional inefficient showerheads. The water pressure is less but sufficient to give you a strong steam. Nearly 30% of the water used in homes comes from toilet usage. If your toilets were installed sometime before 1994, professional plumbers would recommend you to switch to high-efficiency toilet models that use no more than 1.28 gallons per flush. Another better alternative is to use a dual flush model that pile up savings immediately. People often forget to turn off the taps while brushing the teeth or doing the dishes. The good news here is that you can even save a lot while the tap is on with the help of high-efficient bathroom and kitchen faucets that consume maximum of 1.5 gpm which accounts for 30% lower use than the standard flow of 2.2 gpm. This can result in a saving of up to 700 gallons of water a year. Some things must be really done ON TIME, EVERY TIME; whereas other things can be done once a year or seasonally. A healthy HVAC system means less maintenance and repair costs. A well-maintained HVAC system not only saves you money and energy, it also expands the lifespan of the device ensuring its highest efficiency. Your Heating, Venting, and Air Conditioning system has an interior unit consisting of a blower and an evaporator along with an exterior unit consisting of a compressor and a condenser. Below are a few steps that would save your equipment from unwanted problems and early replacement. Checking Thermostat Settings – Check the HVAC’s thermostat settings to ensure that the system does its job well. For this, you will have to switch from cooling to heating and raise the temperature slightly above the room temperature. If no heat kick sound is heard, make sure all the wire connections are secure or check the furnace fan, heat pump or blower. But contacting a professional would be a better option. 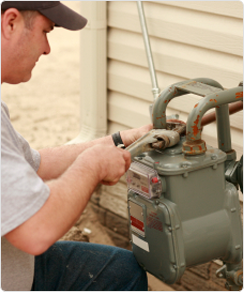 Lubricate the Moving Parts – An optimally working HVAC must serve energy savings. However, parts that lack lubrication result in friction and may cause maximum energy consumption. To lubricate, turn off the power and clean the caps after opening the cover. You can then lubricate the bearings by removing the caps. Check and Clean the Heat Exchanger – A dirty burner or faulty (cracked) heat exchanger may cause carbon monoxide leakage and lead to disasters in the home. Also, an improper gas or oil connection can contribute to health related problems. Inspect the Condensation Drain – It is important to constantly monitor the condensation drain of your heat pumps or furnaces as a plugged drain can affect humidity levels. Check the Refrigeration Levels – Too little or too much refrigerant reduces efficiency in turn increasing energy costs. This may also reduce the life of the equipment. Verify the Control of the Systems – This ensures safe operation. Check whether the system starts, operates, and shuts down properly. Remove Debris and Free Up Surroundings – Cut off the plants that cover the condenser and remove the fan cage to clean the interior of any debris from the interior. Cut out the vegetation to up to 2 feet in all directions to allow generous airflow around the unit. Performing these basic checks will enhance the HVAC system utility and extract most out of the equipment. Your plumbing services contractor can assist you through the process while you follow these DIY steps to maintain the HVAC at its optimal operational levels and increase the life of the equipment. Dynamerican has been in the industry since 1957 and understands the technicalities. 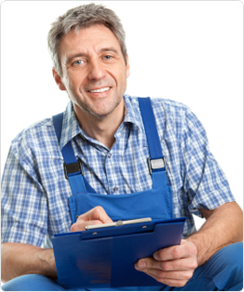 With our well-trained staff members, we assure hassle-free functioning of your HVAC system. For any further assistance, please contact 800-362-8490 or visit http://www.godynamerican.com/contact-us. Do you think you are paying more than you think you should in energy bills? Whether it is a Yes or No, if your HVAC system is 10 year old, it is definitely time to perform a check and decide thereupon if it needs to be changed. Records show that nearly 40% of a home’s energy bills comprise of the energy consumed by the Heating, Ventilation and Air Conditioning (HVAC) Systems. Replacing or repairing the HVAC could help you save thousands of dollars in the long run and serve you better in the heating and cooling of your home. However, it is always suggestible to conduct a survey of your HVAC system for possibly costly leaks before spending thousands of dollars on purchasing a new heating and cooling system. This inspection would probably get you to the root of the problem which may be a lot less expensive to treat than to invest in buying a new one. It is great to start with an overall energy assessment of your home by an energy efficiency professional – just a walk-through or a comprehensive audit with the help of a blower-door test that detects energy leaks by checking the pressure in the house. A check can also be performed for the electric utilities insulation. Thus, once you are sure that the insulation and seals of your house are efficient, you may get a clearer picture of whether you need to replace the entire system or just have a few repairs. Even though you decide to purchase, the energy assessment will help size your new HVAC system properly and run more efficiently, consequently saving your upfront costs and hiked energy bills in the future. As heating and cooling systems are responsible for your home’s safety and health, it is always better to rely on professionally trained technicians who provide speedy and reliable installation, repair and replacement of the heating and cooling systems. An improperly installed and sized HVAC can lead to leakage of deadly carbon monoxide or other toxic gases into your home, escalate your expenses, and promote mold growth leading to fires or chronic illnesses. The most important job of a HVAC technician is to conduct a load calculation that considers extended variables including ventilation needs, insulation levels, windows, and local weather apart from the size of your house alone. To be well-protected and worry-free from the dangers of risking your home’s safety, hire the services of a professional HVAC installation and maintenance company and save a huge chunk of your savings and get an unbiased suggestion on whether to repair or replace your HVAC system. Are Your Professional Industrial Cleaning Services Impressive? Don’t scare away people; Have cleaner and healthier workplace instead! Often warehouses, depots, factories and other such industrial spaces are neglected of hygiene. In this sophistication all around, more people like to have an environment that looks as well as feels neat and tidy. The Drainage – Do you know what hurts more than anything else? A stinking and leaking bathroom.. Americans are very particular about hygiene and a clean and fresh restroom speaks more than anything else about your cleanliness. Professional companies provide drain & plumbing solutions that are not just restricted to repairing and fixing leakages but ensuring a smooth functioning of the systems. By-pass plumbing fosters safe equipment repair. It saves the work and time in excavating a big patch of land. The Grease – Get rid of the greasy layers. Grease forms everywhere and anywhere and can mess up with the functioning of the industrial equipment. It can be hazardous too. Check whether your industrial cleaning services work proactively to clean up the grease traps. Others – Industrial cleaning includes cleaning of ducts, exhausts, heat exchangers, tubes, vessels, etc. and many other care, maintenance and sanitizing solutions. Qualified technicians look after the proper functioning of your industrial tools and contribute to improving workers’ efficiency. If you are in need of experienced & friendly technicians, Dynamerican is highly recommended. Dynamerican servicemen are trained to respond quickly to assist you whenever you need while minimizing any interference to your daily business operations. We have a strong portfolio including drainage, gas installation, plumbing, CCTV inspections and septic care. We are the firm to trust for your infrastructure maintenance. HVAC stands for Heating, Ventilation and Air conditioning. Unlike any other electronic appliance, you just cannot survive without an HVAC system as it is responsible to maintain the indoor air quality of your home or commercial space. They serve an intelligent way of cooling your entire home quietly and conveniently. Areas such as garage, attic, basement, closet, utility room or crawl space are perfect as they can protect the fan coil unit from weather. However, check if you are violating the local codes. Don’t forget to check the location of return air filter box and duct. You need to install a secondary drain pan and/or a drain switch too. The unit may be installed on a platform or suspended from a pre-assembled suspended platform and must be close enough to the selected return air box opening. Select where to cut the return air duct. Preferably avoid installing it in the kitchen, dining room or living room, unless the duct can be installed with a 180 degree bend. Now, the fan coil is ready to pass through the opening. But you can wait until complete installation as you may want to pass materials through this opening. Note the size of the fan coil unit and construct a simple platform. Detailed instruction in the instruction manual will help you. Recommendations suggest use of 2- by 8-inch stud lumber and a minimum of 1/2-inch plywood for platform construction. Use the provided isolation strips under the unit for better performance. For a suspended platform, hold it by ¼ inch threaded rods. Also, leave some room for servicing. The supply plenum ring must be attached several inches lower than the fan coil unit to help the fan move past the platform edge to accommodate the plenum ring. Before mounting the ring, ensure that the plenum ring gasket attaches to the fan coil cabinet. Connect the condensate drain to the unit by referring to the instructions. Remember to run the drain line (pitched ¼ inch per foot) from the trap to a suitable drain and be sure to check with the local codes. Take care not to connect to a closed drain system. Considering you have already done the sizing calculations, the plenum duct can now be run in any location that is accessible for the supply tubing attachment. We suggest keeping a distance of 18 inches between the plenum duct components and the fan coil unit. Also, it is better to keep the use of the elbows and tees to a minimum to maintain the heating systems pressure. Cut off the male end of the first section and then proceed to inserting plenum duct section (pushed tightly) into receiving collar on the fan coil unit. Now, it is time to flatten the sheet metal tabs against the plenum duct and insert the flat head pins. The piece of foil face insulation must be wrapped and taped over the taped joint & against the fan coil unit. Continue to assemble plenum duct ensuring that the shiplap joints are snug & securely taped. Mark the locations for the room terminators to be installed & ensure that its center is 5 inches from the wall edge. Drill a 1/8 inch hole and allow 2 inches of clearance around. Assemble the room terminator to the sound attenuation tubing by fitting the connectors tight. It’s time to complete the installation process by installing supply tubing. Cut the supply tubing & install the connector by threading it to the cut end. Avoid sharp bends to invite less repair and maintenance. Place the plenum gasket & takeoff connector into the plenum hole. Then insert the plenum fasteners and snap those using pliers. Install a connector into the remaining open supply tubing end and connect the connector from tubing to the plenum takeoff. Complete the installation process by installing your return air duct and return air box. Now that you know how to install your HVAC, heating system, you can monitor the serviceman doing the process and instruct him wherever necessary. Please do not try to do it yourself as professional technicians have a better hand over it. 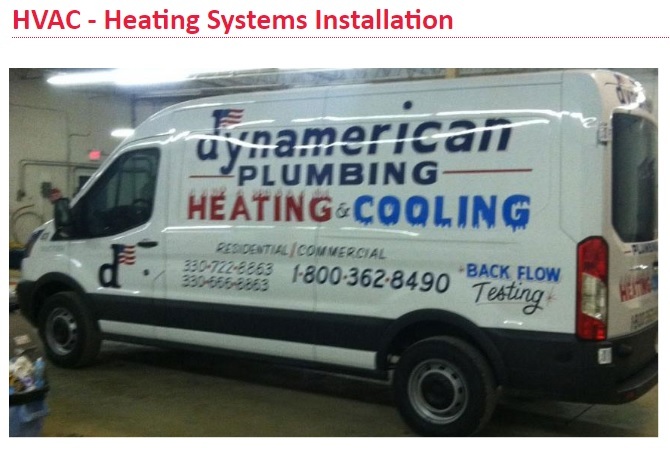 Dynamerican is teamed up with qualified technicians who can install and repair the heating systems of all leading brands. We serve residents of Medina, Akron, Wadsworth, Portage Lakes, Copley, Canton and Cuyahoga with our 24x7 emergency services. Call us for any heating plumbing, repair and maintenance & base heating services.